How do you like my new hairstyle? I figured since Julia never wears the braid whenever she dresses up in the Jessie costume, that I would see what it was like myself. But first, I tried to travel backward on my Thomas train—which didn't turn out too well! Who wants to dance the hula? I found Mom's old dance recital costume from when she danced the hula, so I decided to try it out myself. Then we found an costume that made me very excited: Peter Pan! At least, we think it's Peter Pan. Mom and Babcia have no idea where it came from, or why Mom had it, so it could be anything I guess. And finally, here's a look at our favorite moments from the Dream-Along with Mickey show that they put on several times a day in front of Cinderella's Castle. Don't miss the fireworks in the finale! You can see why we keep asking Mom and Dad if we can go back again soon! When class was over, I invited Henry (who was very patient watching me) to come up and get a sticker with me. With all the excitement of the holidays, Julia and I never got around to talking about Jonathan and Saffron's superfun 2nd birthday party. They held it in the city at a place called My Gym, which is like the Little Gym but has a zipline and a ballpit instead of an airtrack and parachute. Julia and I really enjoyed ourselves. We spent lots of time in the ballpit, even though I usually ended up buried up to my head in balls. We ate some delicious Elmo cupcakes (although the red dye got everywhere!). Other than the zipline, my favorite activity there was jumping on the trampoline with Julia. I definitely have to go on one of those ziplines again soon! Julia and I forgot to share these photos from last month. During our pre-Christmas visit to Grandma and Grandpa's house, we caught up with Marley and her parents (Dad's friends Sara and Don). Marley is six months old now and so big! Marley has my old Jumperoo, and she loves jumping around in it. Julia and I are so glad that it's still being put to good use! In more recent news, I have yet another ear infection and I'm also wheezing a bit, which means that Mom and Dad have to break out the nebulizer and mask they used on me last Christmas when I was a baby. This time around, I'm much better about breathing with it. Even though Mom and Dad had been warning Julia and me for a week that they were taking down our Christmas tree, that wasn't enough to prepare me for the devastation I felt Saturday morning when I went downstairs and saw an empty space where the tree used to be. I was shocked! "Gone! Gone!" I said mournfully, as I gestured to the places where the tree, stockings and mistletoe used to be. Julia took it much better, joking "The Grinch took our tree!" But once a few minutes passed, I got over my grief and realized, hey, this means there's a whole new open space for us to play around in! So Julia and I quickly got down to business, running around in circles and acting silly. So while I'm really going to miss the tree — and the ornaments — I'm content to enjoy all this new open space! Especially since we've been stuck indoors with all the wintry weather, we need all the indoor space we can get! Julia had her say last week, now it's time for my resolutions for 2011. First let's see how I did with last year's resolutions. Did I beat Julia, who completed 7 1/2 out of her 10? 1) Learn to walk. Yep. 2) Learn to talk. Another one down. 3) No more teething...lots more teeth! Three in a row! 4) Fall asleep by myself. I defined this last year as Mom and Dad being able to "put me into my crib, say good night and close the door, without any fuss." That said, I go to bed a lot easier than Julia did when she was my age. 5) Accomplish something faster than Julia did. I had hoped to walk or crawl before Julia did, but I'll settle for getting my first tooth a couple months before she did. Another resolution accomplished! 6) Travel abroad. I elaborated that I wanted to get a passport like Julia did, and get my first big trip under my belt. I did get a passport and did get a big trip under my belt (to Disney World), even though I technically did not travel abroad. So I'm giving myself 1/2 for this one. 7) Have a healthier year. Aside from that awful two-week period around Thanksgiving, I was healthier in 2010 than I was in 2009, where I was basically sick all year long, so yes, I did this too. 8) Get even with Julia. I vowed, "once I get mobile, I'm going to get back at her: take a few things of hers and see how she likes it!" And I've been doing just that, so mark this down as another accomplishment. (And for the record, she doesn't like it one bit). 9) No more big head. I was referring to my macrocephaly and the hope that "my big head isn't quite so big by year's end." While I'm not "cured" in that the neurologist still needs to see me, my head in fact has leveled off in size, so we'll call this 1/2. I'm going to put this down again this year, when I'll hopefully be given the okay from the neurologist. 10) Go on an amusement park ride with Julia. I didn't just go on one, I went on several: at Wildwood, Sesame Place, Adventureland and of course Disney World. And next year I'll go on even more. Tallying them up, I got 8 out of 10, which means that I beat Julia. Hooray! 1) No more diapers. Julia didn't do this until she was almost 3; I aim to beat her by six months. 2) No more pipa. Ditto. 3) No more crib. This summer, I should be ready to make the leap and start sleeping in a "real" bed (which apparently will be my crib converted into a big boy bed). 4) Go to school. Whenever I go inside Pilsbury with Julia, I love it so much that I don't want to leave. So I want to go there full-time, just like my big sister. 5) Learn to jump. I can already tell that I'm really going to enjoy this as soon as I figure out how. 6) No more bibs. I should have ditched them long ago, but I cannot stop drooling. Mom and Dad have been weaning me off them, but I need to learn to keep my saliva in my mouth! 7) Stop head-butting. This is top defense mechanism, as well as my preferred reaction when I don't get my way. But I need to stop banging my head against the wall — or other hard objects! 8) Learn to use silverware. Julia was holding a spoon when she was half my age, so it's time for me to learn to do the same. 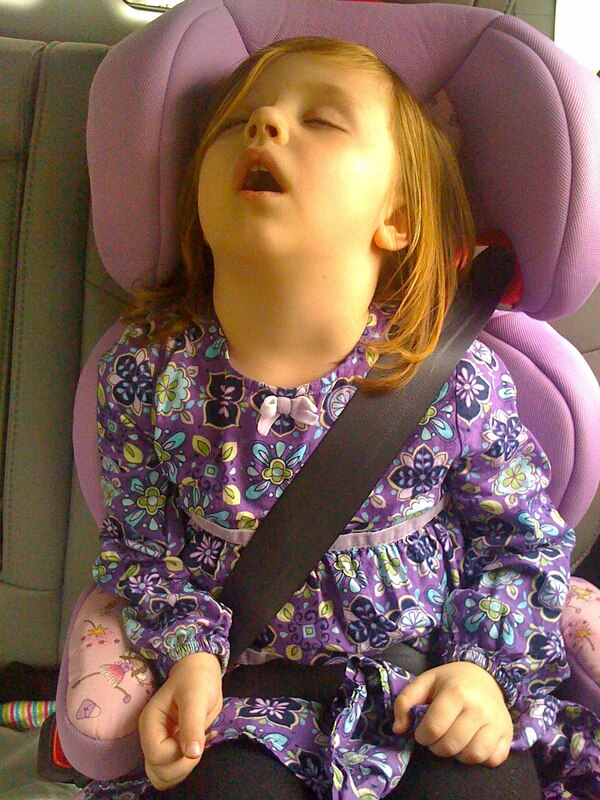 9) Fall asleep by myself. I didn't pull this off last year, but I'm confident I'll figure it out this year. 10) No more big head. I already talked about this above, but I want to finally put this whole macrocephaly thing behind me. And that's it. Looks like I've got a busy year in store...but I know I can pull it off! 1) No more diapers! DONE. Next! 3) Learn to share with Henry. D'oh! Yeah, I'm not even going to pretend to try and do this in 2011. Not happening. 4) Ride a roller coaster with Dad. Last year I wrote, "I cannot wait to do this." I did it, riding Vapor Trail at Sesame Place, and I'm not anxious to do it again anytime soon. Sorry, Dad. 5) Eat lunch at school. Check. I'm not going 5 times a week like Mom and Dad originally planned, but 3 out of 5 days is still pretty good. 6) Dunk my head underwater. Yes! I got a little bit braver every month, and now I can do it. 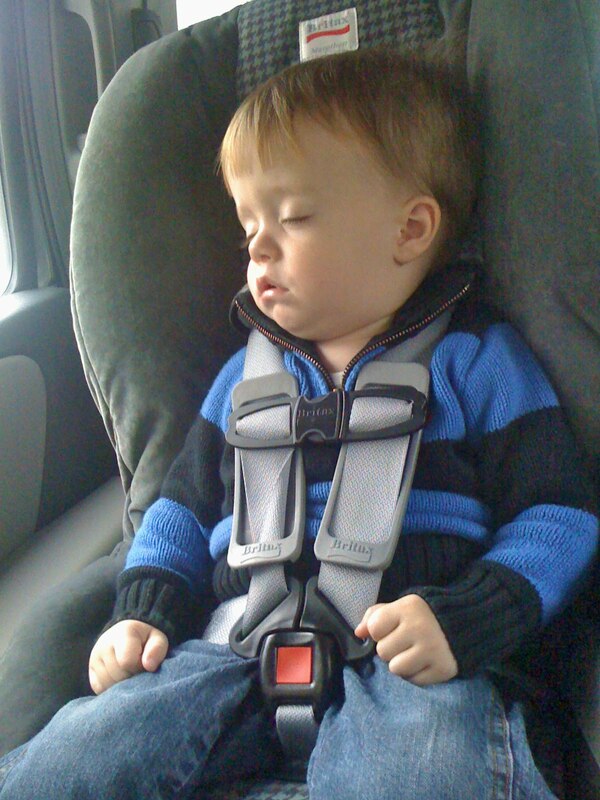 7) Swap my car seat for a booster seat. This was done last spring. I've got my mojo back! 8) Learn ballet. Well, I go to dance class, so that counts. Another yes. 9) Learn to ski. Nope. Maybe this winter I'll go with Dido. 10) See a movie. Last year I vowed to "go to a movie theater and watch one there," and technically I did that, twice. I saw Shrek Forever After and Toy Story 3 in a theater; the problem is that I lasted about 3 minutes in each one before I bolted. So I only get 1/2 credit here. In my defense, I've discovered I don't like watching 3-D movies, which both Shrek and Toy Story were. Dad is going to take me to a 2-D showing of Tangled soon; hopefully I'll fare better. Add it all up, and I completed 7 1/2 out of 10 resolutions. I beat my 2009 record! Try to top that, Henry! 1) Be nicer. This is going to be the hardest resolution of the year, because I have a temper and I'm not afraid to use it. But lately, Mom and Dad have been having success by counting to 10 (which I hate) and making me stay in my room by myself (which I really hate), so there's hope for me yet. Still, I need to make some big strides in this department. 2) Dress myself. I already pick out my clothes; it's time I started putting them on, too. 3) Learn to ride a bike. Mom and Dad wonder if Henry will beat me to this one, but it's about time for me to master this (with training wheels, of course!). 4) Learn to read and write. I'm not talking about anything too fancy, but if I could write my own name by the end of the year, and maybe be able to read a word or two, that would be pretty great. 5) Blog less. This one might come as a bit of a surprise, but I think that Henry and I are going to dial things down a notch on the blogging front. Don't worry, we're not going anywhere, but instead of the 4-5 blogs a week that you see now, I expect we'll be doing more along the lines of 1 or 2 (except after big events like holidays, vacations and birthdays). We'll still keep you abreast of everything we're up to, just with a few less photos and videos than you've been used to over the past 3 1/2 years. So that's it for me. Right now, I resolve to have a great weekend. Hope you do the same. Henry will share his resolutions next week. Before Henry and I share our resolutions, we have to talk about the crazy blizzard that kept us snowed in all of last week. The day after Christmas, we got nearly three feet of snow. There was so much snow that Henry couldn't even come outside with me (we snuck out during his nap). Look at how rosy my cheeks are after about 10 minutes outside. That's what 40 mph wind gusts will do to you! I was sad that I couldn't really go sledding or build a snowman (the snow was too fine but hardened a bit the next day, so I was able to do it then), but I still made the most of it. Here's a video of my time outside. More than a week later, we still have a few inches left, but most of it has melted away. Hopefully the next snowfall won't be quite as severe so Henry can come out and play in it too. Happy New Year everyone! Henry and I rang in 2011 with our friends Isabella and Alec. They invited us (along with some other pals) to stay in their country house, located two hours away in Pennsylvania. Since we aren't old enough to stay up until midnight, we had our own celebration — complete with lots of noisemakers and New Year's party gear — a few hours early. And look: Henry and Alec wore the same pajamas to the party. How fun! Henry and I hope that you have a wonderful 2011. We'll share our resolutions later this week.